I’m going to spend the rest of this essay talking about it. I am very tired of talking about school, especially with people who think we are talking about education. Education and school is not the same thing and I can prove it. School takes place for six, seven or ten hours a day. Education takes place 24/7/365.25. If you don’t know why there is a .25 after the 365 you don’t need more school. Chances are the teachers don’t know either. You, and they, need more education. Education, a.k.a. learning, comes from asking questions (Hey, Educationontheplate, why is there a .25 after the 365?) and getting, or better yet, finding or developing answer. Go to it. People are sponges; we learn all the time. People learned long before there were schools and we will continue to learn long after schools finally choke on the curriculum they try to regurgitate and die. From the moment we are born, and possibly even before then, we are observing, noticing patterns, making assumptions, testing them, revising them and starting over. 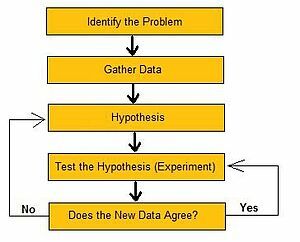 This may sound familiar to science teachers who call this the “scientific method” and try to teach it to students who really just need to have it pointed out that this so-called method is what they’ve been doing naturally their entire lives. What students do naturally, what we all do naturally, is learn. 24/7/365.25. We do it with or without schooling and often do it in spite of schooling. Schooling comes with an agenda but learning often does not. 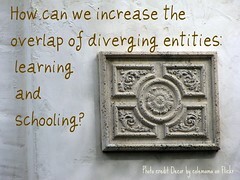 As in my life, and perhaps frequently, schooling gets in the way of learning. It is true in kindergarten where the natural learning and socialization of play has been replaced by reading, writing, algebra and being yelled at for not standing in line properly. All this is to ready students for first grade. Children learn in spite of this. In first grade students read more, write more, and follow more directions to get them ready for second grade. Children continue to learn in spite of this. Sometimes they’ve already learned that school is not right for them by testing it and finding that it does not meet their needs. When that happens we schoolers tell the student that he or she is not right for school, that they are not meeting the school’s needs for order, discipline and standing in line silently and we start to teach them that they are failures. This is what school is best at: teaching students that they are inadequate, that they are failures. They fail to stand in line correctly, form their letters correctly, or form their sentences and paragraphs according to the standards (I wonder what school thought of John Barth, e.e.cummings, Hemingway, Jonathan Safran Foer or, especially, Roberto Bolaño, known for incredibly long sentences, not to mention devastatingly evocative metaphors). They write like writers instead of three or five paragraph automatons and we call them failures. Learning is free-range, we learn from what we manage to be exposed to; school has a curriculum (math, science, ELA, etc.) and a meta-curriculum (how to stand in line, how to raise one’s hand for permission to speak, the procedure for going to the bathroom). I work in a school that’s part of a school network that’s part of a school system. That school system is one of 14,514 school districts in the USA (U.S. Department of Education, 2001). I’m willing to bet that at least 99% of those districts have the word ‘school’ in their name and that fewer than .0001 have the word ‘learning’ in their name. But think about this: No one fails to learn yet many fail at school. I’m tired of talking about school. I’m tired of thinking about school. I’ll never get tired of thinking and talking about learning. School is something else entirely. U.S. Department of Education, National Center for Education Statistics, Common Core of Data, “Public Elementary/Secondary School Universe Survey,”2000-01 and “Local Education Agency Universe Survey,” 2000-01. 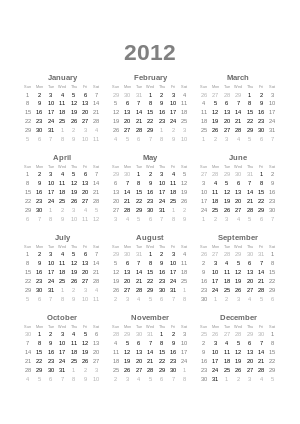 For those who haven’t figured out 365.25 yet, a clue: leap years. On a late Friday afternoon about one year ago my principal told me I was going to be the school’s librarian starting the next week. At the time I knew nothing about being a school librarian and was taking over a disaster of a library. Three weeks later I enrolled in the Graduate School of Library and Information Science at Queens College. This past week I completed my 21st, 24th and 27th credits in 11 months while working full time. I’m very tired. I reorganized all the books in the library, twice. I began automating the library, a process of putting barcodes on all the books and scanning them into our now online catalog. Oh yeah, I had to learn that software (and thanks to Shannon McClintock Miller for turning me onto it). Five unpaid Saturdays were spent in 7-hour long training sessions to learn more about my job, I won a small technology grant. I presented at the NYC school library system’s fall conference. My library was selected to be part of a pilot program of having a shared catalog and other collaboration with the New York Public Library. That meant learning another system of library automation software. Oh, I’ve also been teaching information fluency skills, trying out two different website development tools, finding and sharing resources with my colleagues in my school and in my district. In my free time, I taught a class at SUNY Empire State College, helped organize and run EdCampNYC, and managed to lose the last half of a 60 lb. total loss that I’ve managed to keep off. I’ve got a lot more work to do. I need to improve my teaching, redecorate the library and try to find the money for a renovation. I need to finish my degree. After 27 credits in 11 months, thanks to budget cuts it will take me another 11 months to complete the final nine required credits. 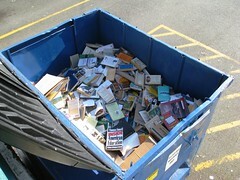 I need to continue to weed old, outdated and damaged books from our collection and finish the barcoding and cataloging. I also need to purchase books, magazines and databases with the twin foci of providing quality recreational reading options and better aligning the collection to our curriculum. I need to continue to learn my job and continue to be thankful to all the members of my PLN, including my colleagues in the NYC school library system who help me do so. Yes, I still have a lot to do, but right now I need to rest, to get to know my wife and son again, to take some time for myself. I’ve earned it. Haven’t I? Oh boy! Now You Can Take the Tests. Earlier this week I wrote a post called Standardized Tests, good for the geese, good for the ganders in which I challenged everyone who has anything to do with the setting of education policy to follow the lead of one stalwart school board member and take the tests they make students take. Thanks to the Washington Post’sAnswer Sheet column I took an abbreviated version of the Florida 10th grade math and English tests. I did it at 11:30 at night after being up since 5:00AM, working a full day and taking five hours of grad school classes. You’re allowed to use a calculator and look up general equations like Pythagorean or the volume of a cylinder. I don’t mean to brag, but I did it all in my head without a calculator and without looking anything up. I got perfect scores in both sections of seven questions each, all in about five minutes. You can take the same mini-test I did or a sample of the Texas, California, New York, Virginia, Washington DC. or Maryland tests. Let me know which ones you took and how you did. And challenge your governor, your school board members, your state department of education administrators, and your president to relive their adolescence by taking the tests and making public the results. This should be fun. It was for me, but I’m strange that way. Standardized tests: good for the geese, good for the ganders. Something remarkable happened the other day. A school board member in one of the nation’s largest school districts had the temerity to take the 10th grade standardized tests that he and his cohorts require students to take. I think this is an excellent idea. After all, if the tests are appropriate to see what students know then they are also necessary to see what school board members know. 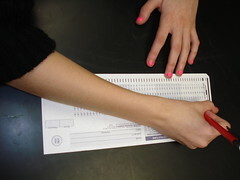 School board members should be required to take the same tests students are required to take. To be fair, I’d only require them to take the 10th grade tests. I wouldn’t want to challenge them too much. Standardized tests are necessary to see what members of state boards of education know. If the state requires an exit exam so students can graduate from high school, then that is the exam the state board members should take. If they can’t pass them they should be removed from their positions and required to repeat high school. Standardized tests are also necessary to see what the mayors who control school systems and the chancellors they appoint know. After all, if the tests are adequate to judge teacher ability they must certainly be able to judge the ability of the people who hire the teachers, set curriculum and allocate assets to schools. Arne Duncan should take standardized tests. So should President Obama. And the results of those exams should be made public. In fact, standardized testing is a great way to see which of the presidential candidates is most up to the demands of the job, which one can understand the math of the budget or the tax system. I’m sure Newt, Mitt, John, Rick, Ron and even Michelle could pass those tests with flying colors. I’m starting a movement to have everyone who sets educational policy take the standardized tests, the same ones students do. Join me. Send a tweet, a text, an email or phone to your school board members, your state legislators, your Congress people, Senators and presidential candidate of choice. Tell them that it is time for them to sit down with a couple of #2 pencils and show us what they know. After all, it is only fair. You are currently browsing the Education On The Plate blog archives for December, 2011. The opinions expressed by Deven Black in blog posts or comments are his. They do not represent the opinions of any other person or entity, especially not those of his employer. Special Education: Conflict or Collaboration?